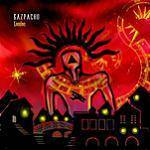 More information: Gazpacho were formed in Oslo in 1996 by childhood friends Jon-Arne Vilbo and Thomas Andersen along with Jan-Henrik Ohme (later joined by Mikael Krømer, Robert R Johansen and Kristian Torp). The band have honed their unique sound, and a substantial international fan-base, over a string of critically acclaimed albums and numerous tours, including several with long-time supporters Marillion. Missa Atropo, the latest album from Gazpacho, was released earlier this year on Kscope. The album was described by Classic Rock as 'finely crafted, darkly atmospheric stuff' and following its release the band embarked on a European tour.